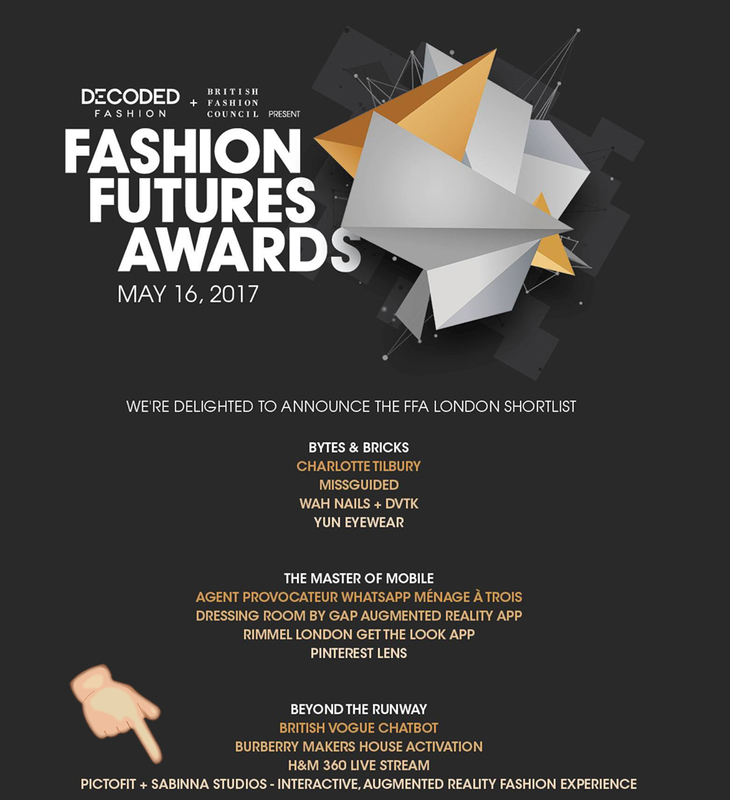 Fashion Futures Awards 2017 – presented by Decoded Fashion and the British Fashion Council. The Fashion Futures Awards celebrate how the fashion and retail industries are evolving through tech based ideas, solutions and tools. The evening saw six accolades awarded in recognition of the achievements of the disruptors, visionaries, and innovators pushing the boundaries of what’s possible in fashion and retail. We were nominated in the category Beyond the Runway, which recognises the most creative use of technology to engage, promote and connect beyond the runway. After beating-off tough competition from Vogue, Burberry and H&M in the ‘Beyond the Runway’ category – WE WON! 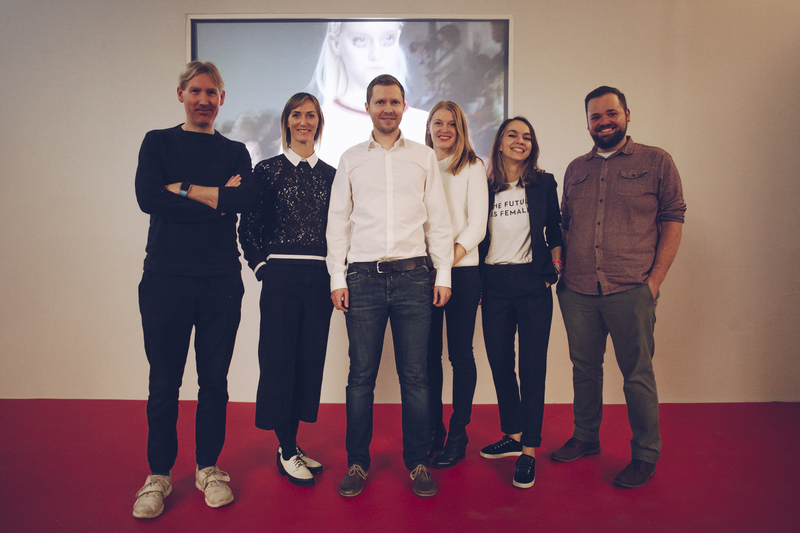 Our interactive mixed reality project in collaboration with Fashion Innovation Agency and Reactive Reality with their Pictofit app was a stunning project demonstrating a clear pathway to the future of experience and retailing in fashion and impressed the jury with its innovative and forward thinking spirit. We are very proud and want to thank everyone who was involved in this project and made this incredible success possible. Find out more about our nominated project, here. Revisit our project, watch the making of video and look behind the scenes.